Sargent and Greenleaf, a division of Stanley Security, brings a new lock known as the AxisBlu to gun owners looking to introduce a little technology into their gun storage. AxisBlu utilizes Bluetooth and a mobile app to remove the need for keyed entry into gun safes. Paired with S&G’s lock components, the AxisBlu is easy-to-install according to S&G. 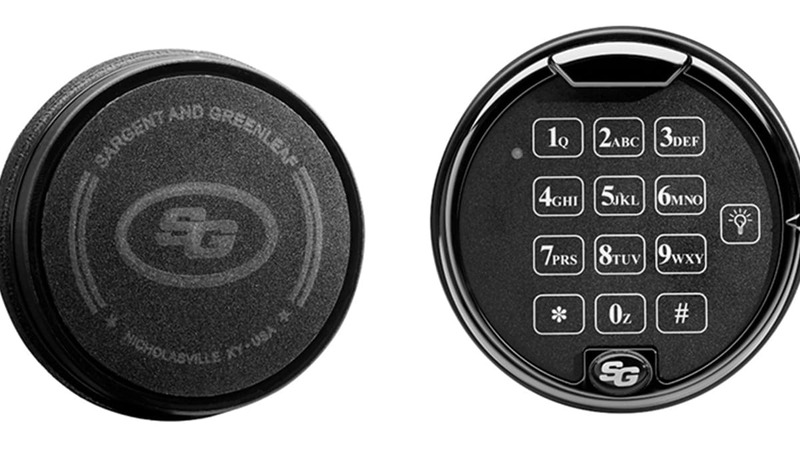 Featuring an “unobtrusive” medallion, the system connects through Bluetooth to user’s smart devices via an app that grants remote access to the safe. The system offers a 30-foot radius and has the ability to pair with up to five smart devices. S&G says the AxisBlu provides multiple layers of authentication to protect safe contents from unauthorized individuals. The AxisBlu system is available with a keypad to grant access manually or through the app. The AxisBlu app is free and compatible with Android and iPhones. AxisBlu is offered in three packages — a Medallion Kit, Battery Keypad and Quick Mount Keypad. All three kits retail for $195.